There was a real meteor in Michigan but there was an event that was separate from the meteor. The meteor happened in New Haven and the city where the beams were coming down is Taylor on the same night and it is NOT the same event. Interesting detail; Taylor is a very small city but was visited by presidents Bush, Obama, and Clinton. What could be the reason that 3 presidents have visited this small City? But it gets even weirder; during that night on January 16, 2018 a security camera recorded very strange activities in the night sky over Taylor. The footage shows at first a spacecraft flying back and forth. Then there were five different spacecraft that appeared to be friendly to each other flying back and forth at about the same altitude. They appeared to be above the atmosphere at night, with the sun reflecting off of them brightly. 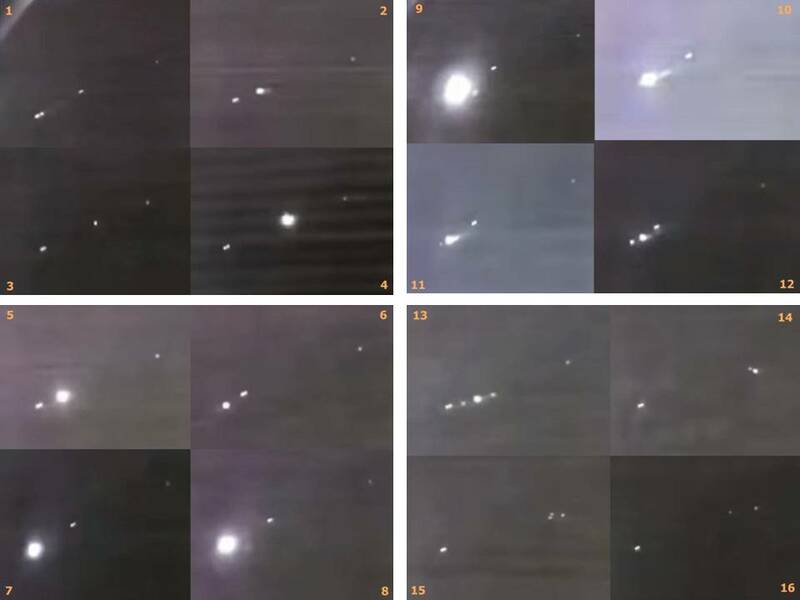 They faded in and out, which would indicate that they were doing maneuvers in space with the craft reflecting more or less sunlight depending on which way they were turned. It was obvious UFO activity, Jim Stone Freelance Reporter and Investigator Jeffery Pritchett wrote in their articles. Around 8:08pm, January 16, 2018, everyone in our community and nearby communities (more than 60 mile radius) reported seeing a bright flash of light in the sky and many people heard a loud BOOM. II thought it was lightning and thunder and then I started thinking... that's silly, it's like 10 degrees outside and clear. I called my daughter, who was driving home and she saw it too and she also saw a bright light, like a beam of light in another direction. I checked our outdoor security cameras and this is what I found.... --Let me tell ya, I love living in the country but this creeped me out a little bit. I'm just glad all my kids here have 4 legs and LOTS of teeth. LOL What do you think it is. To be clear, I, personally, don't believe in aliens. But surprisingly, after 1 day the video suddenly was removed or more likely it got banned. If you take a look at her channel Lucky Puppy then it becomes clear that this channel is not any sort of a UFO hoaxer. The video was not a hoax. There is something going on in space right now! There is an active UFO activity going on right now! Whether the UFOs are black budget spacecraft or alien spacecraft, the UFOs were operating in a way that made it obvious they were for deep space. It is quite possible that the UFO activity is related to the strange beams and all other strange activities currently going on in and outside the US. 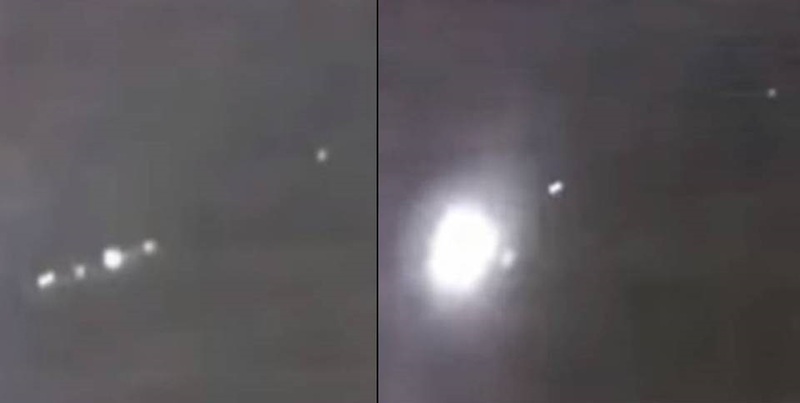 Despite the video has been removed, we have, thanks to “Romans 6:14” who has recorded the footage of Luck Puppy, the original video of the unique UFO activity over Tayler in the night of January 16, 2018. I think it might be safe to say that there is a nuclear war on the horizon, whether in space or on earth and someone knows about it, and it won’t be happening without interference. A particle-beam weapon uses a high-energy beam of atomic or subatomic particles to damage the target by disrupting its atomic and/or molecular structure. A particle-beam weapon is a type of directed-energy weapon, which directs energy in a particular and focused direction using particles with miniscule mass..start looking in this direction image enhancement indicates possible use of such a weapon..